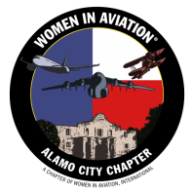 Women in Aviation membership is open to women and men from all segments of the aviation industry, including general aviation, corporate, commercial and military aviation. Membership is available to anyone with an interest in aviation, including aviation professionals, enthusiasts and students. Local chapter $10 membership fee, plus $1.50 convenience fee for online payment. Please note WAI International Membership must be paid and current before becoming a local chapter member and or paying your chapter dues.